Protecting the Renewable Fuel Standard is a priority for officials from corn-producing states, as shown by this sign at an RFS rally in Iowa a few years ago. Updated Nov. 30 with EPA decision — Midwestern U.S. senators’ lobbying campaign paid off Thursday for farmers who supply the renewable fuel industry. Instead of making a small cut to the amount of ethanol and biodiesel to be used in the U.S. in 2018, the EPA approved an increase of less than one percent, bringing the total to 19.29 billion gallons. The federal agency also rolled back most of the proposed decrease for cellulosic ethanol, which can be made from cornstalks and perennial grasses. It’s the fourth straight year of an increase in the biofuels mandate. The renewable fuel industry is a big market for corn and soybean farmers in states like Iowa, Nebraska, Kansas and Illinois. 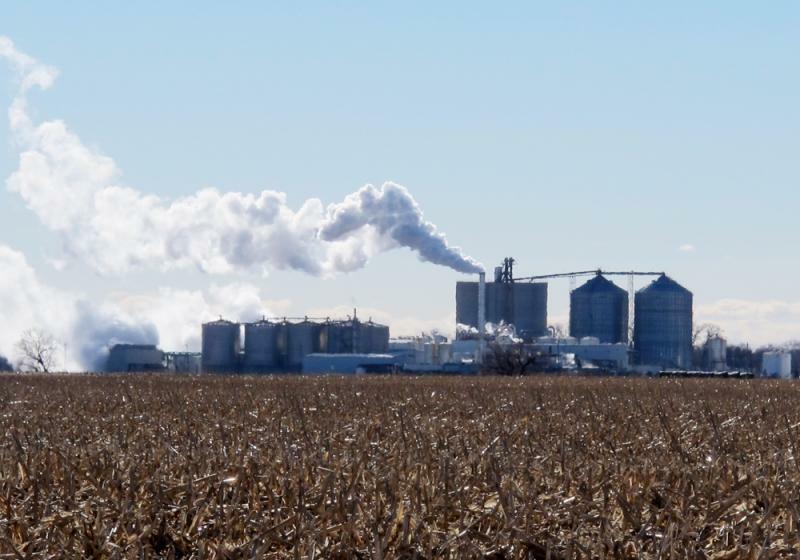 Republican and Democratic senators from top corn- and ethanol-producing states say their pressure helped prevent the Environmental Protection Agency from changing rules governing renewable fuel production. But at least one senator, Iowa Republican Chuck Grassley, says President Trump was their ace in the hole against an EPA chief who has deep ties to the oil and gas industry. More than 30 senators objected to EPA proposals that would have lowered the amount of renewable fuels required for 2018. The lawmakers believe the changes would have cost rural America jobs and prevented further growth in domestic energy production. EPA Administrator Scott Pruitt, who used to be Oklahoma’s attorney general, met with some of the senators last Monday. On Wednesday, reports began circulating that the president had directed EPA to stick to the original rules. Thursday evening, Pruitt sent a letter to six Republican senators rescinding the earlier suggestions. There’s a lesson North Dakota Democratic Sen. Heidi Heitkamp is taking from from the struggle over the Renewable Fuel Standard: Even though Pruitt said all the right things during his confirmation process earlier this year, lawmakers need to remain vigilant. Like many agricultural issues, Heitkamp says, support for renewable fuels tends to fall along geographic rather than party lines, with corn-producing states lining up behind ethanol production. Pruitt’s home state of Oklahoma is known for oil production. Pruitt’s letter says the EPA will meet the law’s requirement to announce the amount of renewable fuels for next year by Nov. 30. Grant Gerlock contributed to this report.